The Eastern Panhandle Region of eastern West Virginia spans a landscape of broad valleys drained by the Potomac, Cacapon, and Shenandoah rivers and bounded on the east by the Blue Ridge. It has historically been a vacation destination. The nation’s first public baths were established here at Bath, or Berkeley Springs. Horse racing, near Charles Town, and heritage tourism are principal attractions in the panhandle. 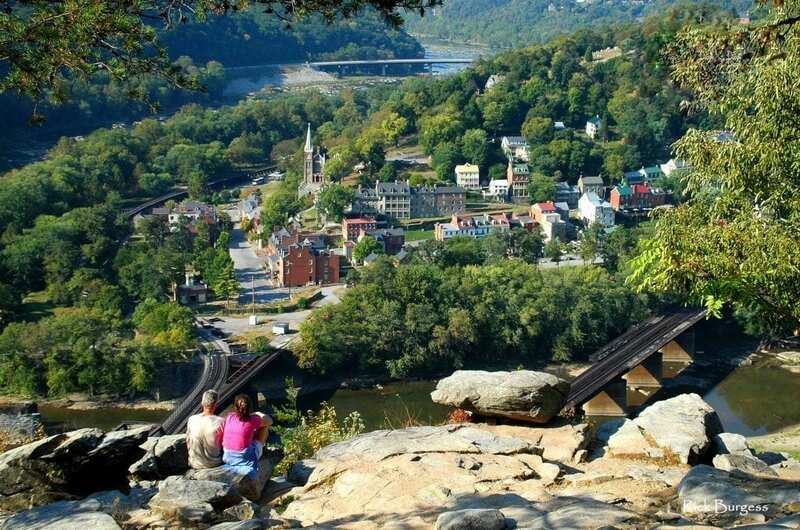 The national historical park at Harpers Ferry, and the Antietam National Battlefield, near Shepherdstown, attracts thousands of visitors annually. The region is often referred to as a bedroom community of the Washington, D.C., area. Tourism and agriculture are primary industries. The Eastern Panhandle Region includes Morgan, Berkeley, and Jefferson counties and adjacent areas of Virginia and Maryland. The region corresponds to the Eastern Panhandle travel region of the West Virginia Department of Commerce. Interstate 81 travel north to south through the panhandle region, passing through Martinsburg in its route between Hagerstown, Maryland, and Winchester, Virginia. Highways US-522 and US-340 course through the western and eastern reaches of the panhandle region respectively.